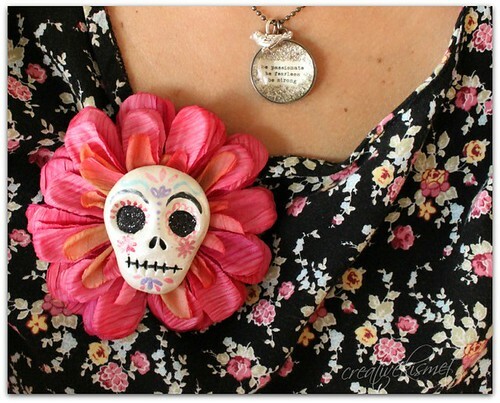 I think the week of Halloween and Day of the Dead is probably my favorite week of the entire year. I kid you not!! 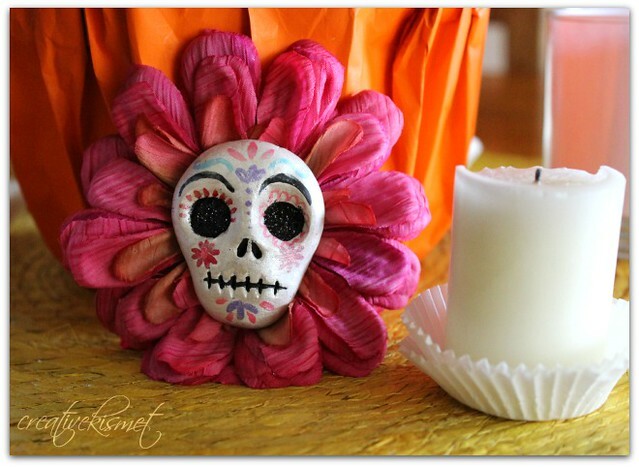 I love skulls, honoring loved ones, dressing up, wearing big flowers, marigolds, the color orange, candles, the celebration of it all… EVERYTHING!!! I love it all. 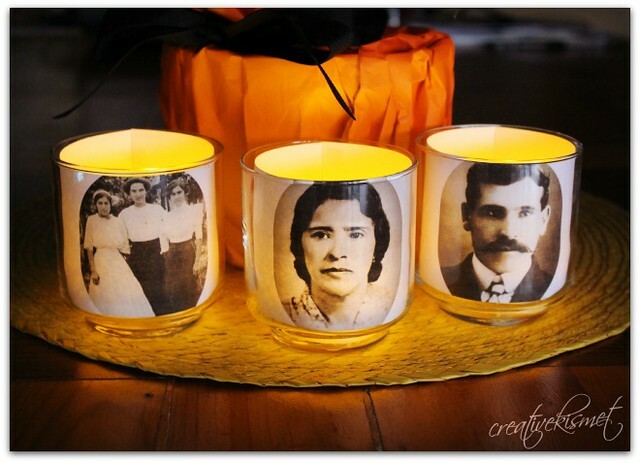 I made these Remembrance Luminarias to honor our great-great grandparents. 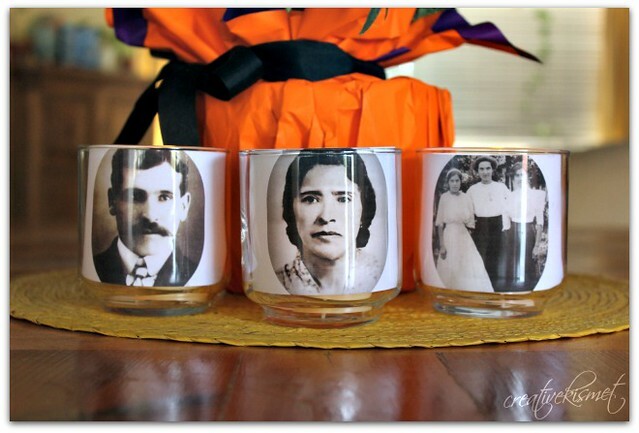 I printed black and white photos onto plain white paper and cut them into strips so that they fit in these little juice glasses, with a bit of tape to secure them in place. Then I added LED tea lights inside. They are so lovely when lit up at night. It would be nice to have varying sizes of glass cups too. I bought these lovely marigolds, the flower of death. 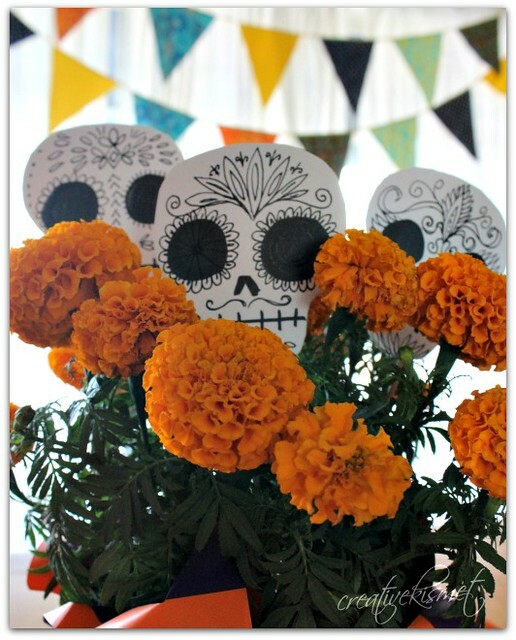 The scent of the marigold is said to bring spirits back to earth for the yearly Dia de los Muertos reunion. 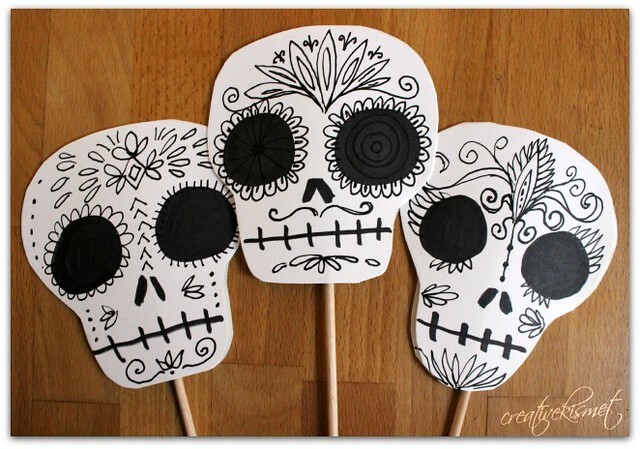 Some white card stock, a few bamboo skewers and a good marker is all you need for these. 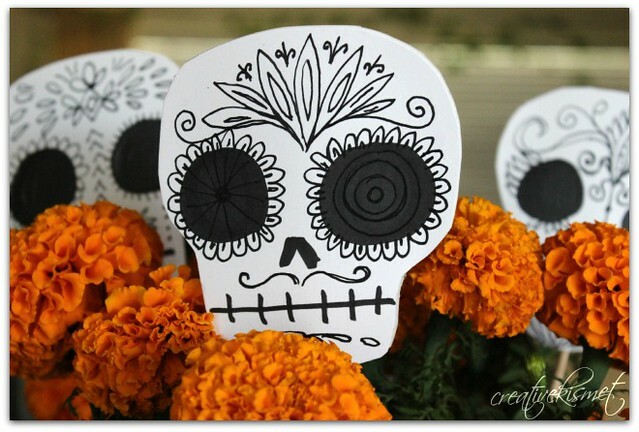 Quick and easy, and they look great with the orange marigolds. 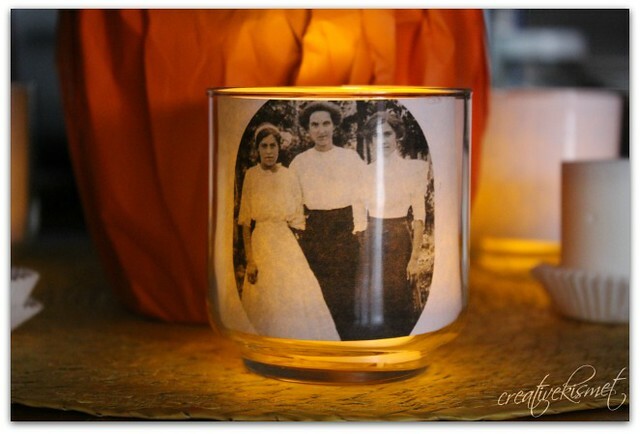 This entry was posted in i make stuff, Spooky. Bookmark the permalink. lovely ideas Regina! so special to celebrate those who have gone before.